The power and persuasiveness of Jonathan's work came from the enduring belief that there is no idea so powerful as a moral one. 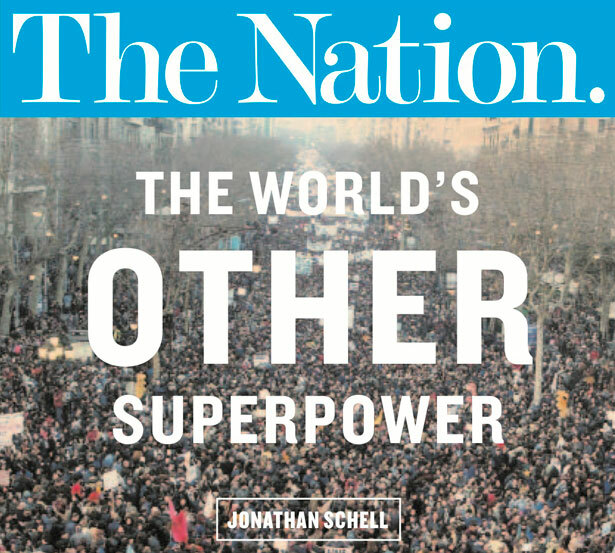 Jonathan Schell, The Nation's peace and disarmament correspondent for nearly two decades, was an extraordinary colleague, reporter, writer and thinker. It is difficult to imagine The Nation without his thoughtful, humane and powerful voice. I will miss him. The power and persuasiveness of so much of Jonathan's work came not only from his elegant style, clarity of analysis and powerful logic but also in the enduring belief that there is no idea so powerful as a moral one. 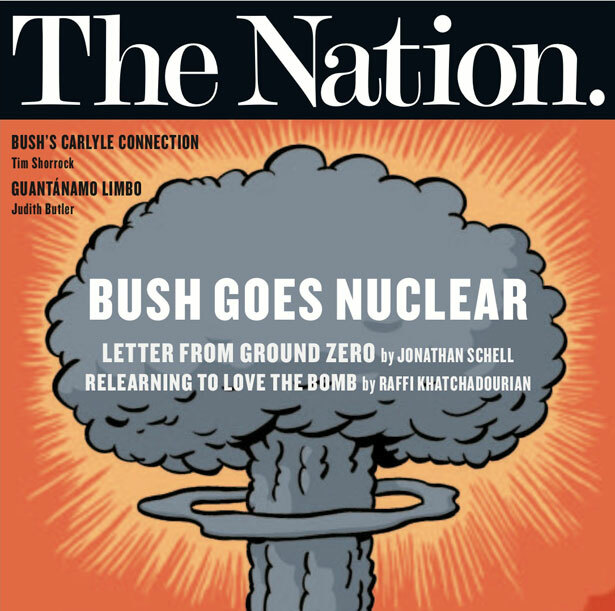 In a special 1998 Nation issue making the case for nuclear abolition, he compelled us to confront the nuclear peril in which we all find ourselves, and he brilliantly laid out the argument that there exists a viable and desirable alternative to continued reliance on war and nuclear weapons. On the nuclear crisis, no voice was as clear, no writing as perceptive as Jonathan’s, going back to his acclaimed 1982 book The Fate of the Earth and his articles in The Nation and in other publications. 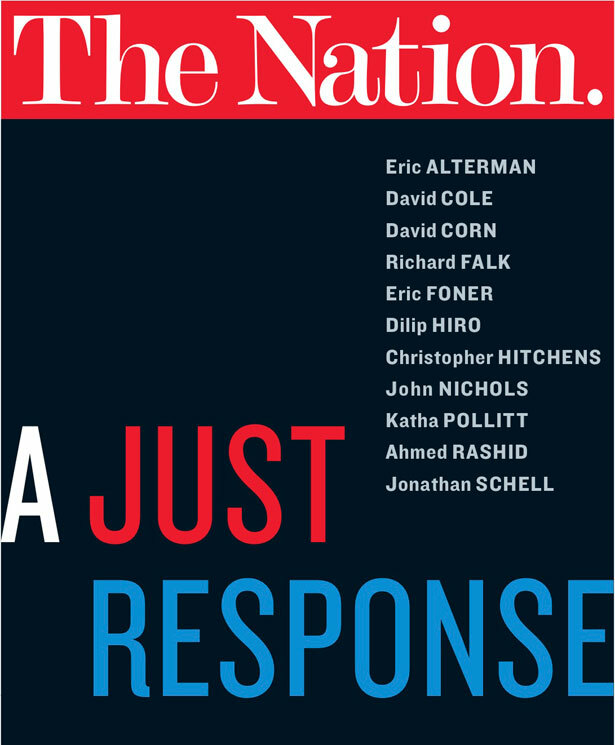 In the days after September 11, and in the weeks running up to the disastrous invasion of Iraq, Jonathan was one of the most thoughtful, reflective and independently critical voices to emerge in a media landscape filled with calls for war and vengeance. 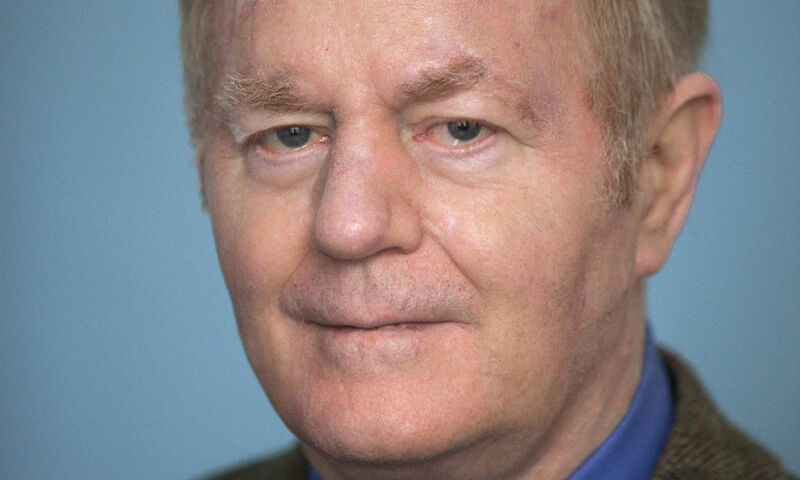 His column, "Letter from Ground Zero," launched just days after 9/11, was a remarkable chronicle of those charged times. Never losing his bearings, as so many others did, Jonathan used the column to unwaveringly advance the case for sensible and moral non-military actions. They did not heed his counsel. Yet Jonathan's outlook was never bitter, cynical or angry about the state of our country or the world. He was more the citizen-philosopher who believed his readers would find their way if they had all the information necessary to deduce the answer. A day hasn't gone by in these last months, when Jonathan was too ill to write, that I haven't wanted to talk to him, sit and riff—a term he once told me best described the style and pace of our talks–about all sorts of ideas and stories he might do. I cherished our many conversations over these last 20 years—ones often held during fraught moments when Jonathan was the ideal interlocutor. Jonathan once told me he valued the freedom The Nation accorded its writers. We will forever value Jonathan for the freedom he argued for—and ceaselessly supported with his words and actions. We present a selection of Jonathan's work for The Nation below. Of course there can be no such thing as a literal letter from ground zero—neither from the ground zeros of September 11 nor from the potential nuclear ground zero that is the origin of the expression. There are no letters from the beyond…. On September 1, 1939, Hitler's armies rolled across the western border of Poland. On September 3, England and France declared war on Germany. But the two great powers, unable to intervene in strength in Poland, did not take action right away. A lull—"prolonged and oppressive," in Churchill's words—followed. 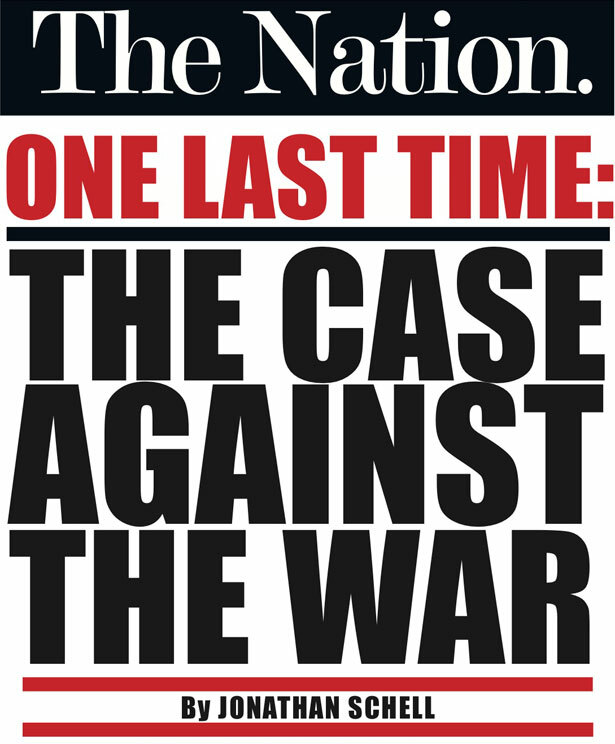 The "phony war," as many called it, had begun…. One month after September 11, ground zero—six blocks from where I live—remains unquiet. Inextinguishable subterranean fires belch smoke into the neighborhood, as if the ruin were an active volcano, spreading a stench whose source we do not care to think about. The global crisis set in motion by the attack has been active, too. In its fourth week, two major eruptions occurred: the beginning of the Anglo-American war on Afghanistan and the outbreak of anthrax in Florida…. Hawk and dove agree: The war in Afghanistan is not going well. Hawks point to the resilience of the Taliban, which has "surprised" Rear Adm. John Stufflebeem by not collapsing yet. Doves point to the suffering of the civilian population, who face American bombing, Taliban repression and the prospect of mass starvation all at the same time. The problem goes deeper, however, than the unexpected toughness of the foe and stray bombs. It lies in an underlying contradiction in US policy…. 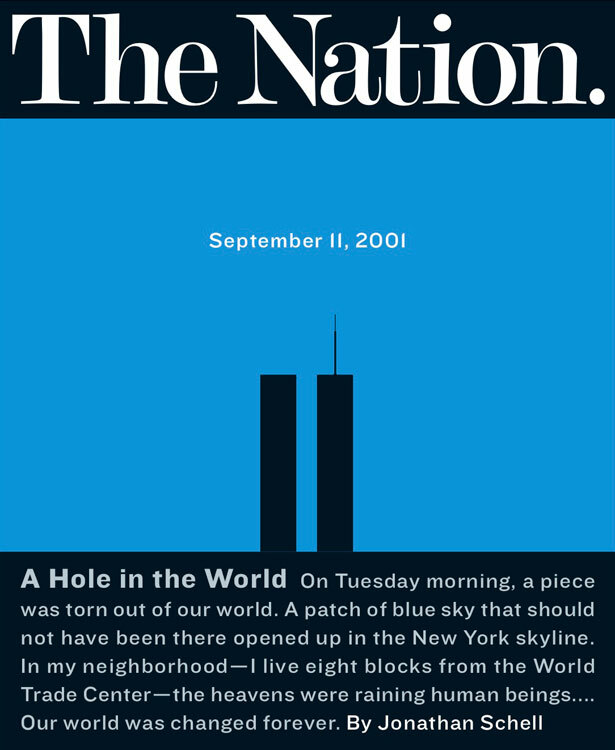 When I began this column after September 11, I chose to name it "Letter From Ground Zero" because it seemed to me that at the heart of the new darkness that had descended upon the world was the peril of annihilation posed by weapons of mass destruction, including, above all, nuclear weapons. The weapon of mass destruction that has actually been used, of course, has been "weaponized" anthrax—delivered, however, only in minuscule amounts. The world awaits the terrorists' decision whether to follow up these retail murders with mass murder…. The sudden collapse of the Taliban in most of Afghanistan is one of those events that seem to have been designed by the fates to teach policy-makers and pundits humility. The collapse came, of course, as a surprise; but it was also something more: It arrived in the teeth of almost universal opinion that it was not possible so soon…. "It is almost impossible even now to describe what actually happened in Europe on August 4, 1914," Hannah Arendt wrote in 1950, in words that also seem to apply, with uncanny aptness, to September 11, 2001. "The days before and the days after the first world war are separated not like the end of an old and the beginning of a new period but like the day before and the day after an explosion…. [That] explosion seems to have touched off a chain reaction in which we have been caught ever since and which nobody seems to be able to stop." At the outset of the war on terrorism, President Bush announced a doctrine: Regimes that harbor terrorists will be dealt with as severely as the terrorists themselves. Three months later, the Taliban regime that then ruled Afghanistan is gone, and Washington is scanning the horizon for other regimes to attack. The government of Iraq is the one most frequently mentioned…. Long before the atomic bomb turned night into day in the desert of Alamogordo in July 1945, it was an idea in the minds of scientists, who deeply pondered the political and moral dilemma they were about to impose on the world. With few exceptions, they arrived at a basic conclusion. The great physicist Niels Bohr articulated it well when he said, "We are in a completely new situation that cannot be resolved by war." A year that began (if we count by the new calendar whose Day One is September 11, 2001) with an attack on the United States by a terrorist group consisting mostly of Saudi Arabians headquartered in Afghanistan has ended with preparations for an attack by the United States on Iraq, a country that had no demonstrated involvement in September 11. The path from point A a year ago to point B now has been lengthy and circuitous. Along the way, a radically new conception of America's role in the world has been advanced by the Bush Administration. It has claimed nothing less than a right and a duty of the United States to assert military dominance—a Pax Americana—over the entire earth…. This autumn and winter, nuclear danger has returned, in a new form, accompanied by danger from the junior siblings in the mass destruction family, chemical and biological weapons…. February 15, 2003, the day 10 million or so people in hundreds of cities on every continent demonstrated against war in Iraq, will go down in history as the first time that the people of the world expressed their clear and concerted will in regard to a pressing global issue. Never before—not during the Vietnam War, not during the antinuclear demonstrations of the early 1980s—had they made known their will so forcefully by all the means at their disposal. On that day, history may one day record, global democracy was born. The decision to go to war to overthrow the government of Iraq will bring unreckonable death and suffering to that country, the surrounding region and, possibly, the United States. It also marks a culmination in the rise within the United States of an immense concentration of unaccountable power that poses the greatest threat to the American constitutional system since the Watergate crisis. This transformation, in turn, threatens to push the world into a new era of rivalry, confrontation and war…. As the war began, Defense Secretary Donald Rumsfeld promised a "campaign unlike any other in history." What he did not plan or expect, however, was that the peoples of earth—what some are calling "the other superpower"—would launch an opposing campaign destined to be even less like any other in history….